At the 2018 Sohn London Idea Conference on Nov 29, Kuvari Partners pitched a short of Kier Group, a primarily UK's construction & services business, citing narrowing of margins and aggressive accounting (ref. Sohn Conf Foundation). During the talk, Vikram Kumar, CIO of Kuvari Partners, said he believes the stock could drop by 50% and that he thinks they'll need to raise capital (ref. FT). Today Kier Group reached target price mentioned by Kuvari and is as much as 50% down vs prior to the Sohn conference. The main contributor to price falls has been Kier's plan to raise cash (ref. The Guardian). 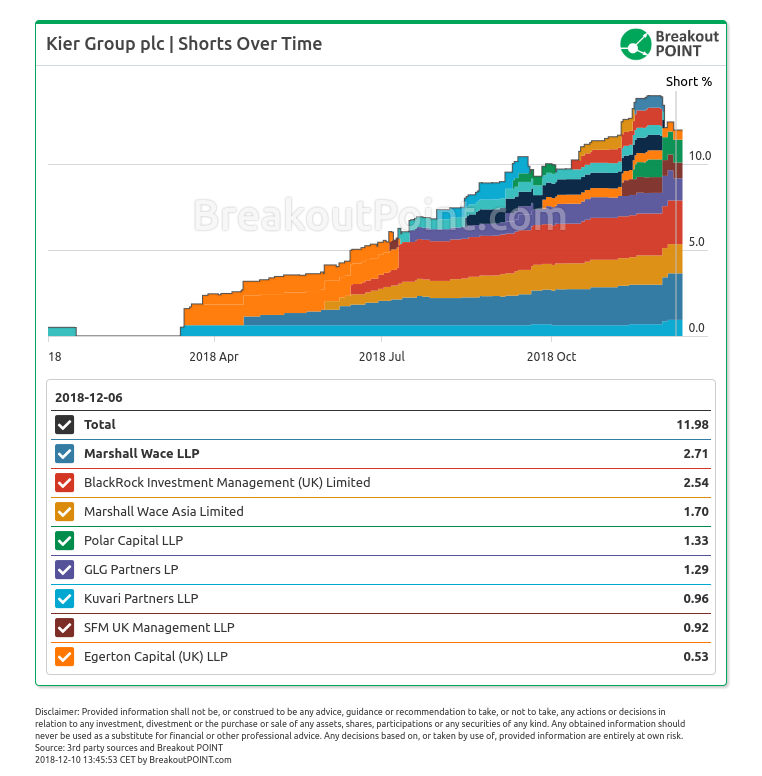 After Sohn conference, Kuvari increased short in Kier from 0.71% to 0.96%. It will be interesting to observe what happens next with this short position, especially having in mind that prices have halved since Kuvari's talk at Sohn conference. This is currently the only big short of Kuvari in all of our EU records. Kuvari appears only sporadically with big shorts and Carillion is among their previous big shorts.